The iPad 3 will come with a QXGA (1,536×2,048 pixels) display and longer battery life although its other hardware specifications may not be so amazing as expected, said the sources. 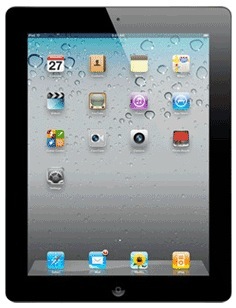 Apple will take the advantage of the iPad 3 launch to slash the price of its iPad 2 to US$399, the sources claimed. Much of this is in line with the rumors from last November regarding the iPad 3, although Digitimes then goes off the deep-end and suggests that an “iPad 4” will be released in October of 2012, an unlikely scenario. I think this makes a lot of sense, and reflects the iPhone’s history of the previous generation becoming the “bargain” model. A very effective way for Apple to compete on price without sacrificing profit. Look at the iPhone line for inspiration. Maybe even an 8GB iPad, but that would be lame. I think the next iPad will be called iPad 2S since it will share the exact same enclosure as before, but have better CPU, HD display, and Siri. Apple tends to only rename the iPad, iPhone, and iPod when there is a new case enclosure. This is more of an incremental hardware update than a redesign, think a better iPad 2, not a true iPad next generation.